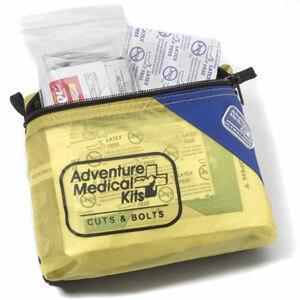 A first aid kit should always be carried with you even if you are just going on a day hike or a day paddle. You never know what can happen and a basic first aid kit will solve most minor bee sting, cut, headache, etc. Having your first aid with you can make a potentially ruined day into an enjoyable day. As the old saying goes "Be prepared". How Many People Will Be Going With You? Always make sure there is enough first aid treatments based on the number of people going with you. It does no good to only bring a few bandages when there is a greater potential of using some more bandages based on the number of people going with you. The amount of first aid supplies you need is related to the number of days you will be on the trail and how dangerous the hike is. It pays to bring a little extra versus bringing not enough. It doesn't do any good to bring first aid with you if you don't know how to use some of the items that you brought along. Make sure you also have a simple manual that explains how to treat some of the most common problems. The easiest way to get started is to purchase a beginning kit. There are kits available for many types of hikes as well as for a specific number of people. Most kits have waterproof bags that can be refilled and reused. Add any additional supplies to fit your needs. Your first aid supplies should include: bandages(assorted sizes and different kinds), tweezers, sunscreen, moleskin, gauze pads, splint, aspirin, wrapping tape, bee sting products, plastic gloves, sling, thermometer, knife, handy wipes, burn ointment, duct tape, mirror, prescription medicine, q-tips, dental floss, Purell and any other items that might be needed for the specific type of hike you are taking. There are an assortment of small sample items in the grocery store or in the pharmacies that fit well in the first aid kit. Each item is very small in size and they even have a starter first aid kit for about $1.00 that can help you get started. If you don't practice... you forget. If you don't use first aid skills... you forget. Keep reviewing and reading the first aid book and when the time comes, you will be ready.